Ever see a really ornate gate and just wish you could open it? You wonder to what it leads. A castle? A hidden garden? Gates are just aching to be opened, and gate fold boxes have the same quality. Beautiful turned edge packaging, with hinged double doors and a magnetic clasp, creates a strong first impression at retail. A custom box is often the first piece of advertising a customer sees, so why not make it undeniable. 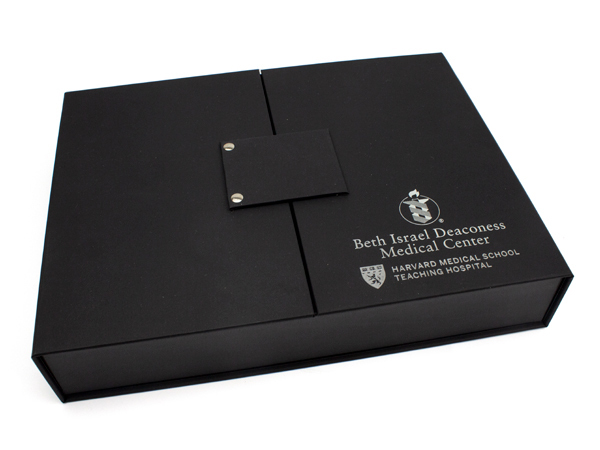 Turn a book into a keepsake, or a marketing kit into a presentation, with a gift-worthy gate fold box. Custom gate fold boxes from Sunrise Packaging can have all the trimmings of luxury packaging. 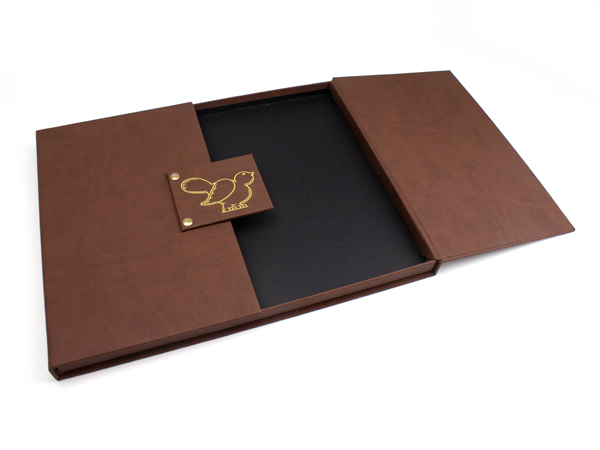 Personalize your turned edge gate fold box with specialty prints and textures. Give your brand or logo sophisticated flair with foil stamping--lettering and images inlaid with metallic foil. Make a strong impression with custom debossing and embossing. Our unique facility is equipped to add thermoformed trays and foam inserts in a variety of accenting colors for storing even the most delicate products. Truly an upscale presentation piece, this hinged magnet box adds tremendous value to whatever its contents. After all, a magnificent product should have magnificent packaging, and our gate fold boxes deliver charm in spades.